Learn boldly and live to inspire. Companies, banks, critical infrastructure and Government Offices are under constant attack by hackers who try to break through firewalls, steal information and in some cases hold the companies to ransom for the release of their data. 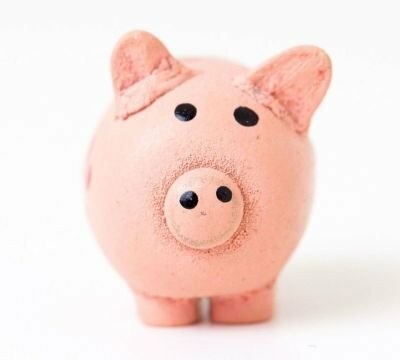 Companies spend Billions of Pounds defending themselves from as many as 200,000 attacks per day by using Coding and Cyber Security graduates and apprentices. Females make up 50% of the UK populations, yet only about 12% of the IT/coding and cyber workforce is comprised of women. 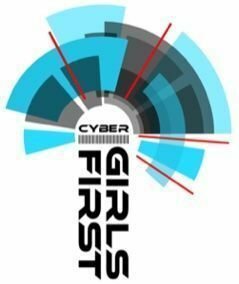 CYBER GIRLS FIRST is attempting to change that by demystifying the idea that only boys can succeed in IT, and to point out that Chief Executives of companies around the country are desperate to recruit women into their cyber departments. During WWII, more than 60% of the codebreakers at Bletchley Park were women, so why have the numbers decreased? 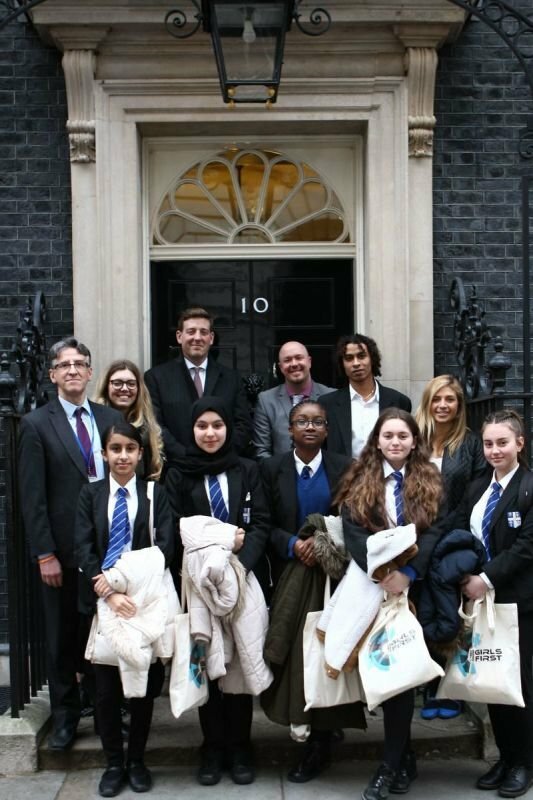 We are bringing in girls aged 11-14 from local schools to give them a day of IT, coding and cyber security, with talks by women who have attained high levels in management in these fields. Why this age group? 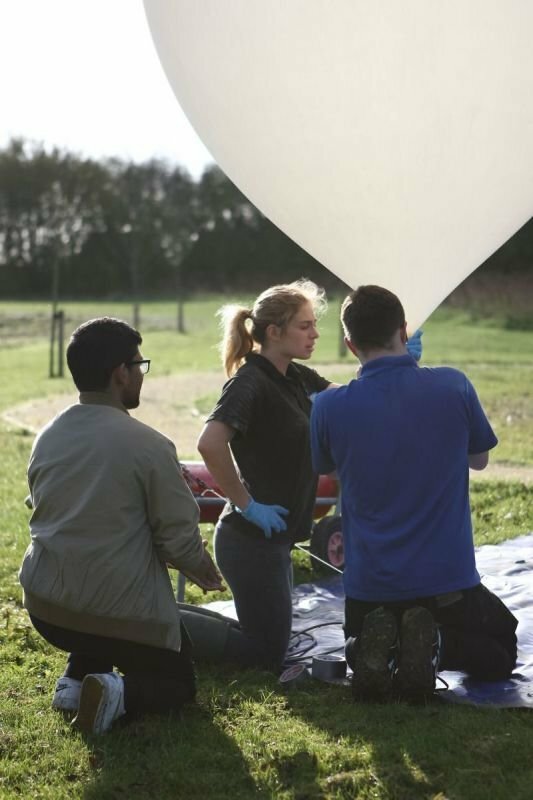 Because we hope to encourage girls to take up these subjects before they reach the age when they have to choose their two-year GCSE courses. Girls aged 11 to 14. Fun cyber activities across the STEM spectrum. 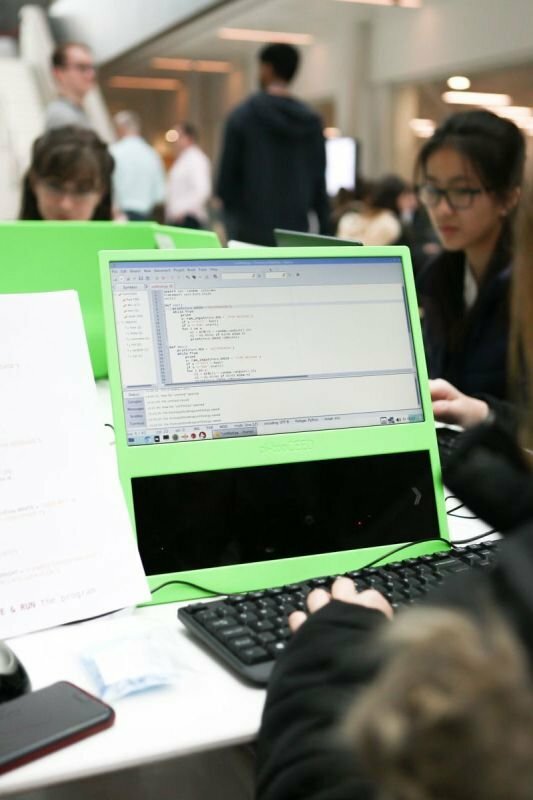 Increase girls' awareness of a future in IT. We'll be adding more dates soon. These include Downing Street and further Fieldfisher events as and when we can confirm the dates later in the year. 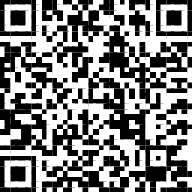 PayPal Donations can be made by clicking the button below, or by scanning the QR code on your phone and following the links provided.